I had rather frustrating Monday - I couldn't finish the tutorial I was preparing for making stamp mats with the new Silhouette software update because the program kept crashing. I think I finally have it sorted out so I'll post that tutorial later today or tomorrow. Tammy Tutterow recently posted some very helpful tips for working with the specialty pads that are available for the Sizzix manual die cutting machines. There are three types, the Silicone Rubber Pad, the Impression Pad and the Premium Crease Pad. You can learn what each of these pads is for, how to tell them apart and the correct way to use them on the Sizzix Blog HERE. In addition to teaching practical things like this, Tammy makes really amazing and beautiful projects so be sure to check out her site HERE. I have used the Crease Pad the most - it is great with the dies that have score lines as well as cut lines because it prevents the score lines from cutting through the material you are using. 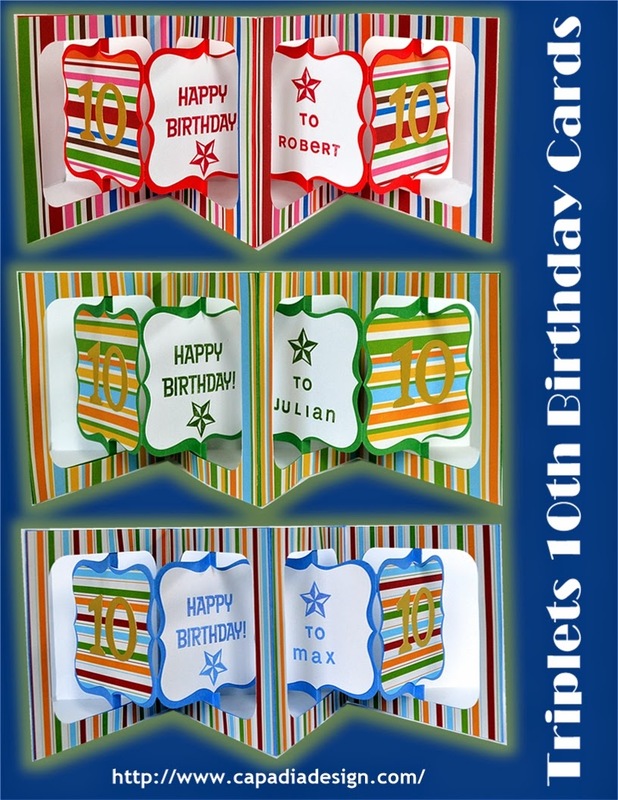 These cards I made for our triplet nephews were made with a couple of dies designed by Karen Burniston. The design has some small fold lines which the Crease Pad scored perfectly. You can see the original post about these cards HERE. The Design Star class taught by Traci Reed that I am taking started today. I think it is going to be very useful to help me learn more about designing my own digital kits and I expect we will have a lot of fun too. There are weekly webinar/chat sessions so I think I will get to know some of the other students over the eight weeks. I have started working on a "mood board" for my first ever digital kit. Even though the class has started, you can still register to start the class this week. You can check out all of the information and see a short video about the class HERE. Have you heard of the site called ScrapStacks? You can find it HERE. 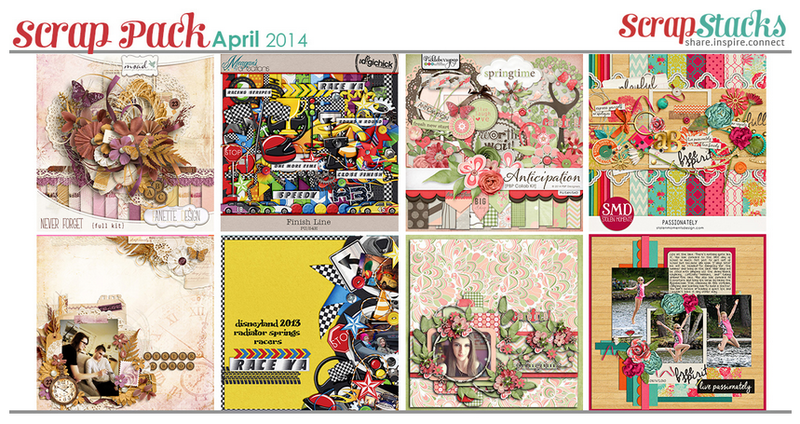 There are all sorts of scrapbook pages and digital supplies to inspire you on the site. To help keep the costs of running the site manageable, there are two special bundles available each month. The Scrap Pack contains four full digital kits and cost only $5. 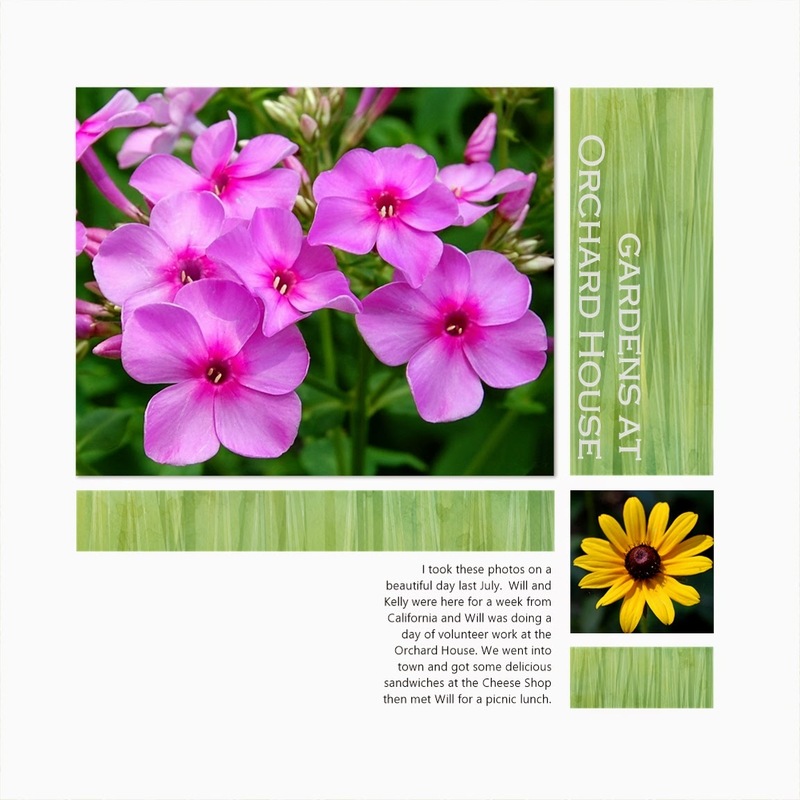 There is also a Printable Pack (also just $5) that works for both paper and digital scrappers. If you are interested in digital or print and cut projects, you will definitely want to check out the Scrap Pack and the Printable Pack. New Packs are released each month and are only available for one month. So glad it helped - I really like that die and it makes a very nice "special" card. I need to use it again soon! Thanks for the link on Scrapstacks, never heard of it but will definitely check it out. I just recently discovered it - the kits are very nice and at a fabulous price. The sales help support the costs of running the site - I haven't quite figure out the "stacking" part but I like the kits and I hope you do too! Thank you so much for all the great information and all the great links included in this post! Sorry your day started off rough, hopefully tomorrow will be better. Looking forward to tomorrow's post! Thank you!